Rest is self explainatory. I used the same code in IE and the problem didn't occur. I haven't tried Firefox. The problem is most people seem to use Chrome these days and thats why I need a fix! 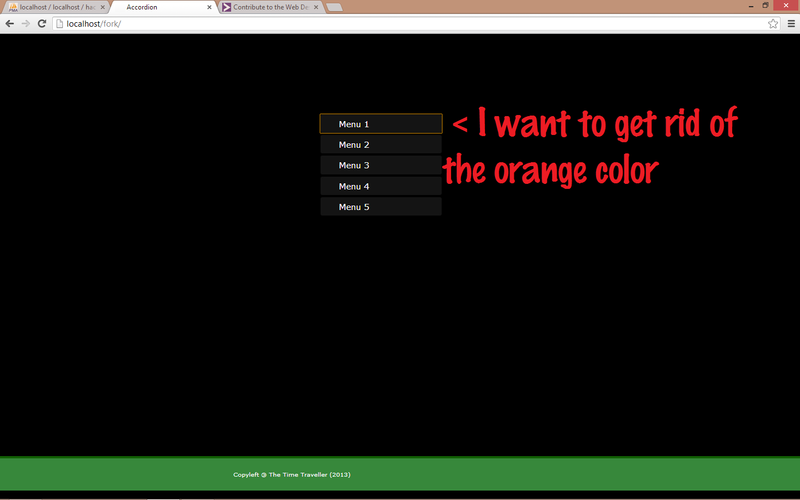 The orange border may be a default style that is applied by Chrome. Are you using a CSS reset style sheet? No I wasn't using one. But I added it now and it still gives the same problem. Thanks for the info though! Thanks a lot Zagga! Thanks to you I digged about CSS Reset and solved it!